Cesar’s nomadic existence then saw him move to Benfica and Austria Vienna before being sold to Bolton in July 2004. 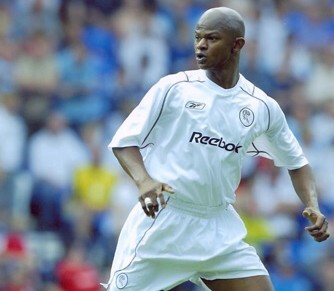 He made his debut in the first home game of the season – a sunny August day which saw two Jay-Jay Okocha goals help Cesar’s new side to a 4-1 victory over Charlton Athletic. However, the arrival of fellow defender Radhi Jaidi from Tunisian side Esperance saw his playing time limited to minor Cup games, including the two games against Yeovil Town where a reserve Bolton Wanderers side struggled to progress. It was against Yeovil Town where Julio Cesar scored his only goal in English football. It is difficult to assess his Bolton Wanderers career as it contains few notable moments, other than the absence of such events. The rest of his time at Bolton was played out in similar circumstances, with injury and the form of other fellow defenders limiting Julio Cesar to just a handful of appearances before being released in order to sign for Mexican side Tigres where he became a key member of their domestic and continental successes. It was following his release from Tigres in 2006 that Cesar again set out on his travels, spending no more than a single season at clubs such as Dinamo Bucharest, Maritimo and Sporting Kansas City before winding up his playing days at Toronto FC. Canada was to be the last stop in a varied career that saw Julio Cesar play for clubs across the globe in countries such as Honduras, Spain, England, Austria, Italy, Portugal, Mexico, Greece, Romania, Turkey and latterly the United States and Canada. This entry was posted in The Samba Series and tagged bolton wanderers, craig allardyce, julio cesar, real madrid, sam allardyce by The Samba Series. Bookmark the permalink.